If you don’t usually like to eat broccoli stems (ewwww!) then this recipe is a great way to make use of them. It’s also full of vitamin C and other good stuff. Make a big batch and freeze some! 1. Cut the broccoli stems and florets into manageable pieces; keep in mind that you’ll be puréeing the soup later. 2. In a large pot, sauté the onion and celery until just tender, about 5 minutes. 3. Add the broccoli pieces and veggie stock, cover and simmer for 10-15 minutes (until broccoli is tender). 4. 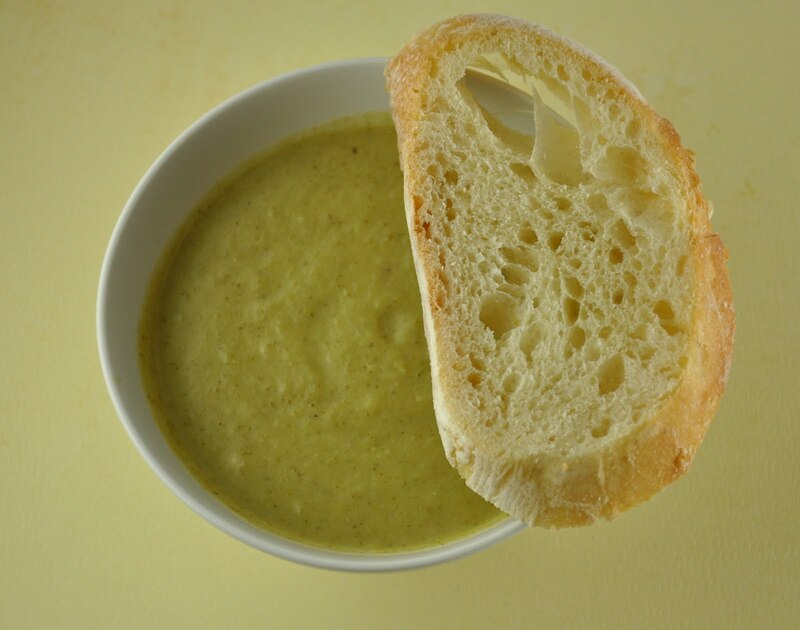 Remove from heat; when the soup is cool enough, blend (using a blender or food processor) in batches until smooth. 5. Meanwhile, in a separate pot, melt the butter and stir in the flour and milk. Use a whisk if needed to remove any lumps. Stir in the puréed soup and bring to a simmer, adding the nutmeg and pepper. Salt if needed, and serve. *The purpose of step five is to thicken the soup. However if you have wheat allergies or just don’t want the extra butter, try blending a potato into the soup instead, or leave out the thickening process altogether. The soup will be thinner, but it still tastes amazing!